Most conservation effort focuses on animals and their habitats, and often ignores the voices of people living in these landscapes. 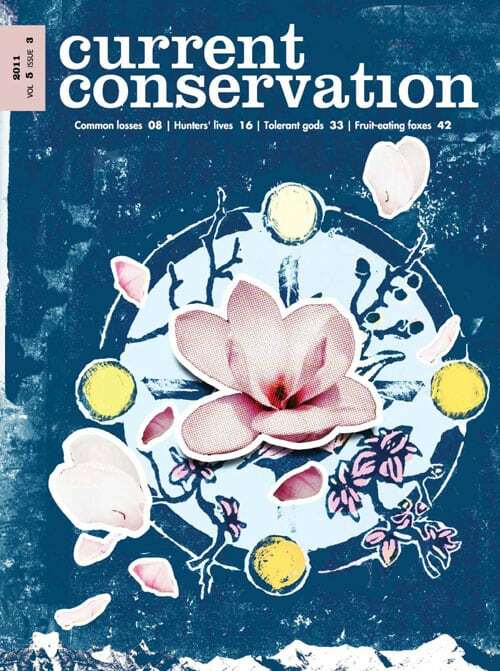 Almost all the essays in this issue revolve around the inhabitants of lands of conservation concern—their problems, and solutions they want or practice to deal with pressures like climate change and conflict. Before solutions can be implemented one needs to understand their practices and use of resources, argues Anirban Datta-Roy, in a detailed examination of hunting practices of the tribes of Arunachal Pradesh. Tenzing Ingty tells us that communities in wild landscapes, like the Dokpa and Lachenpa of Sikkim who use the traditional ecological knowledge gathered over generations to cope with climate change, can often assess change and threats better than scientists.